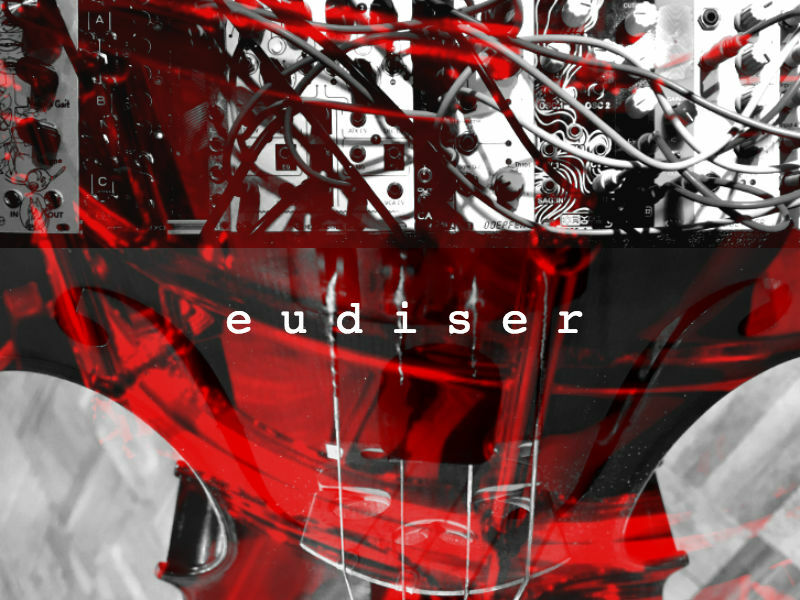 eudiser is a performance experiment in cross-modal initiations and interactions. Scored for a dancer and three musicians, eudiser interrogates relationships between movement and sound through creating situations of ambiguous influence between the artists using acoustic, electronic, and visual mediums. Outfitted with motion sensors, the dancer exerts influence over the electronic sound. These sensors stream movement data to a computer, which maps the data to sample, process, and playback shadows of the live acoustic sound. As the music serves as an audible commentary on the movement, the canvas serves as a visual one. Using the body as a paint brush, the dancer creates a trail of her movement, gestures from the past that contextualize the present, feeding the sound that continues to create it.